A simple way to understand archetypes is to simply imagine the faces in our fantasies as nothing more than “projection screens.” The roles that we assign these faces/screens come from our own collection of “mental movies.” So the fantasy isn’t about that particular person. It’s about what that person represents in your mind or how you recognize certain characteristics about that person that are either present (or absent) inside of you. It’s these projection screens and mental movies that provide the richest material for coaching sessions. Many clients come to me after they’ve crossed a line, having acted out sexually with the object of their fantasy. They gave this other person way too much power and focused on the projection screen instead of the movie that was playing in their own head at the time. Whenever you pursue another person as the “solution” to your fantasy problem, you’re only complicating the problem, adding more layers of emotional baggage to sift through. Think of the nature of a projection screen. It’s an inanimate object. It can’t hurt you. It just hangs on the wall and lets you project whatever you want onto it. The screen has no preference or will of its own, so it doesn’t pose any threat or harm. If we recognize it for what it is-just a screen, and that’s all-we won’t feel the need to panic when our mental movies begin playing on it. Instead, we can focus on the movie, not the screen. 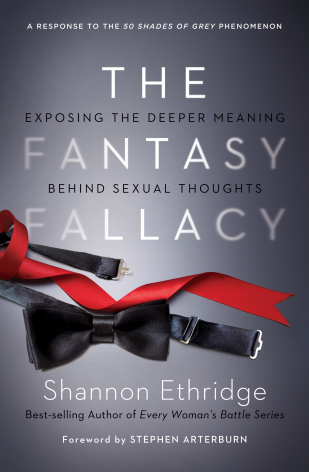 If we all treated our fantasies in such a way by taking the shock and sting out of them and recognizing the real dynamic at hand, we wouldn’t feel the need to act out inappropriately with the person we’re fantasizing about. We’d simply focus on the movie we’re playing, not the object, screen, or face the movie is playing on. Put another way, consider if you walked into a room and caught a teenager projecting a pornographic movie onto a screen. You wouldn’t get mad at or blame the screen, would you? No, you’d take issue with the movie being projected, and more specifically, with the one who chose the movie, right? When it comes to our fantasies, we are the ones who chose the movie. The screen simply allows us to recognize what movie is playing. This process provides clues to the plot we’re trying to project onto others, clues to the personal “soul work” that our unconscious is inviting us into.